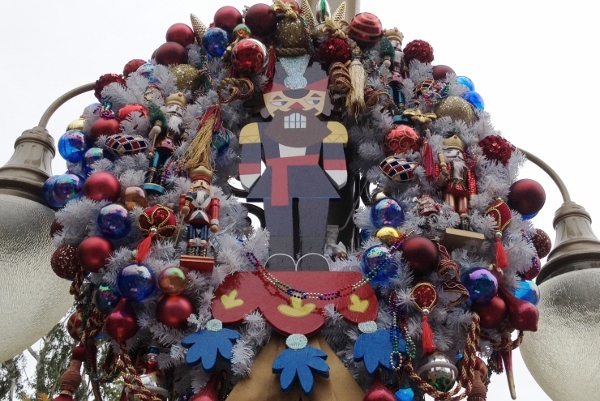 Since I’m neverendingly amazed at the depth that the Disneyland Resort goes to in theming for the holidays, I thought it only appropriate to bring some of that to the blog for the holiday season. 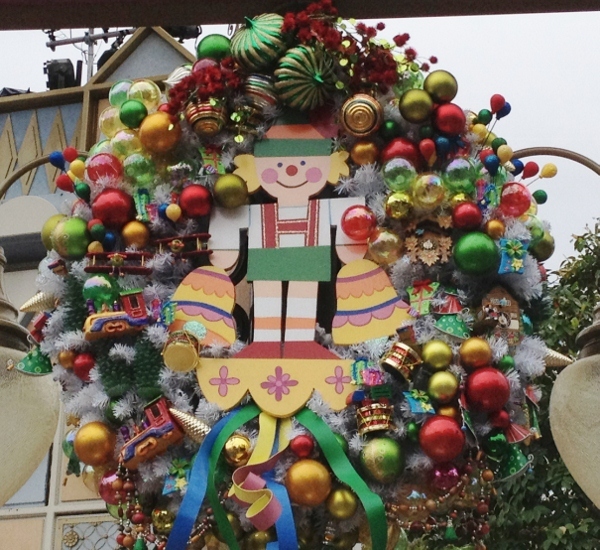 To start the season off right, I wanted to share a new “discovery” that I had when being dragged through – ummmmm, I mean, walking through – Fantasyland with my youngest daughter, who was on a mission to see Small World Holiday. 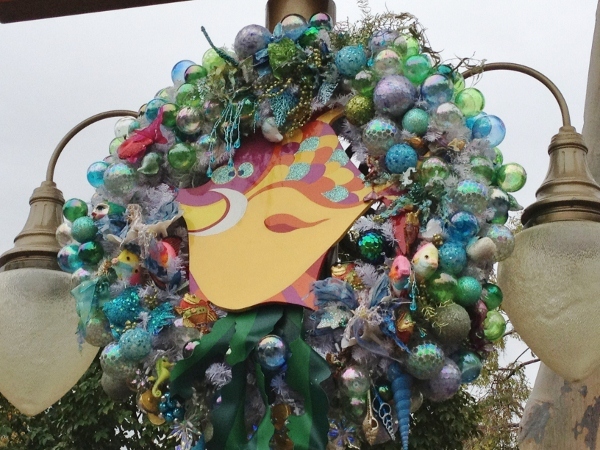 As we entered the esplanade to the Small World Plaza, I took a moment to glance up at the beautiful garlands and wreaths that lined my path. Then, I noticed it. Each wreath was unique! No cookie cutter decorations here. 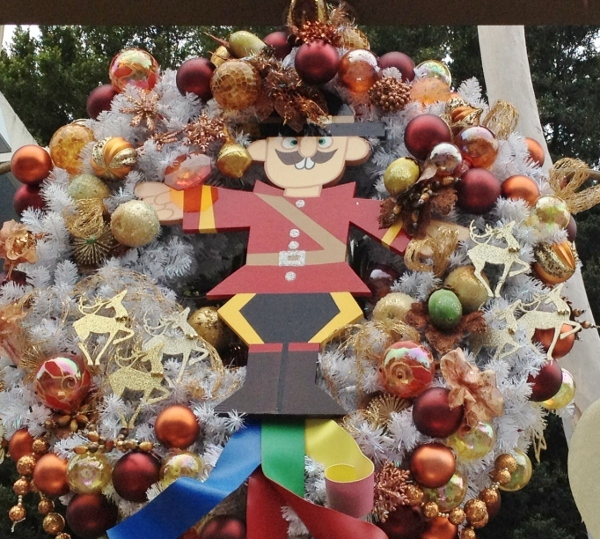 A second look revealed that the wreaths were decorated to reflect the different nations/rooms in Small World Holiday! This came a such a pleasant surprise, that I had to share their charm with you. Come take a look and maybe get some ideas for your own holiday wreath this year!!! One of my favorites was the German Bell Ringer, above, nestled with drums, trains, and pine cones. (It was also the best photo I took…). Honestly, I couldn’t really pick a favorite, so I’ll show them to you in order of appearance in the ride! Starting out in the Arctic/Antarctic room, a polar bear graces this blue and white wreath, while penguins and silver snowflakes dance alongside. As we continue our tour of Europe, we are greeted by the Tower of London. 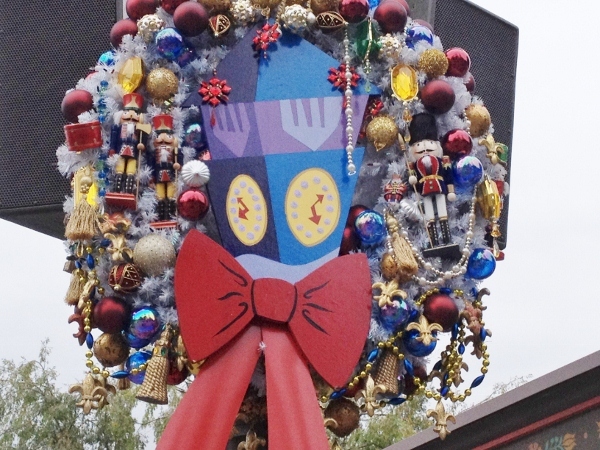 Again, a white wreath is highlighted by balls of irridescent blue glass, nutcracker bobbies, tassels, iconic jewels, golden fleur de lis, and tiny drums. A tribute to the luxury of the British culture. Not to be outdone by the British, the French add their flair in the form of a pink French poodle! Purple and pastel candy-colored balls highlight pearled sprays and ornaments, tiny fashionable shoes, and small green stars. The Dutch are not to be outdone. 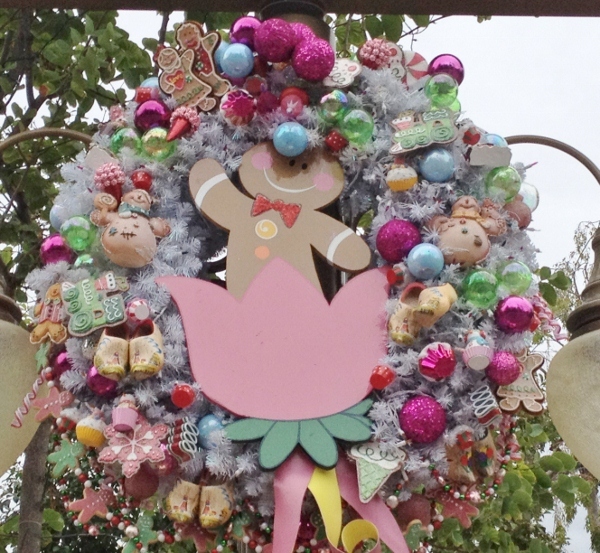 Their wreath features a gingerbread man romping through one of their famous tulips. Surrounded by pastel balls, beaded candy and ice cream cones, and a host of fellow gingerbread cookies, this is an adorable celebration of all that is sweet about the holidays! Of course, where would candy be without nuts, and this nutcracker follows suit. Joined by fellow soldiers and a host of blue glass and red tasseled balls, it’s a proud display of an Old World European tradition. 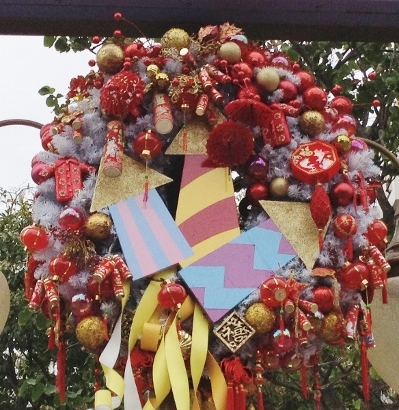 The countries of the Asian mainland are represented by this next wreath – a fan, surrounded by opulent red and golden ornaments, tassels and red Chinese money pouches. 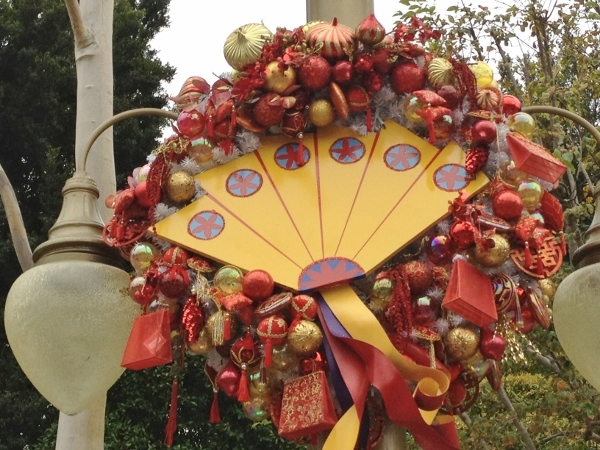 Another twist on the red and gold ornaments on a white wreath specifically represents China. Tasseled red and gold lanterns surround China’s most famous contribution to festivals – fireworks rockets! 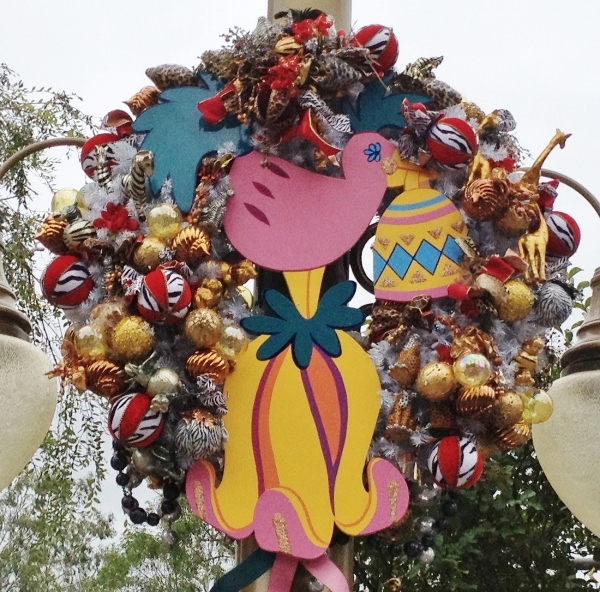 One surprising wreath that I found to be one of the more creative was that celebrating the diversity of Africa. Golden ornaments, made from glass and metal are highlighted with unique red balls that sport the prints of the zebra and giraffe. Those same animals are present in full form, while a giant kookabura bird carrying an African lantern takes center stage. Our next wreath comes from somewhere that is near and dear to the United States – the Latin American Countries. 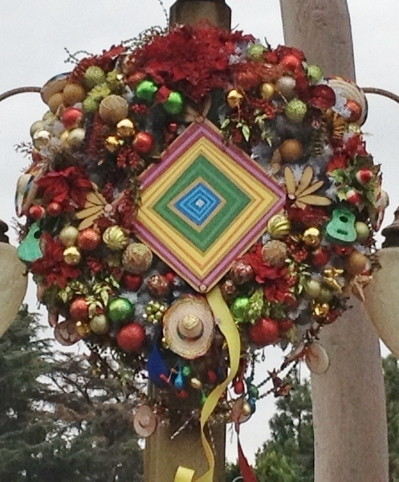 An “Ojo de Dios” or “Eye of God” (a traditional craft of both Mexican and Bolivian Indians) is surrounded by green, red and gold balls, tiny guitars and sombreros, as well as a variety of flowers. Saying goodbye to Mexico, we travel the oceans with the next wreath. Glass balls of blue, green, and opal, shells, and seaweeds surround a happy tropical fish. Our visit to the ocean left us on the shores of our next wreath. Bright purples, aquas, and greens, strands of beads, fruits, and peacock feathers highlight the bounty of the islands. Pineapple, bananas, and more are the centerpiece and, if you look closely, you’ll see a small peacock admiring this colorful homage to the tropics. Of course, where would we be if we didn’t return to our roots – our native land? The final wreath highlights the glorious colors of Americana. 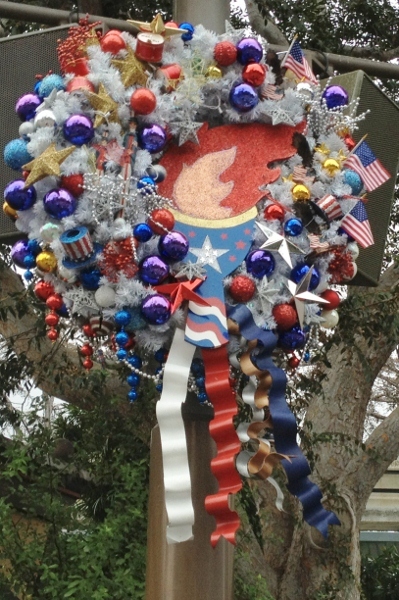 The torch of Liberty is surrounded by gold and silver stars, American flags, Uncle Sam hats, and red and blue ornaments – all on a white wreath. 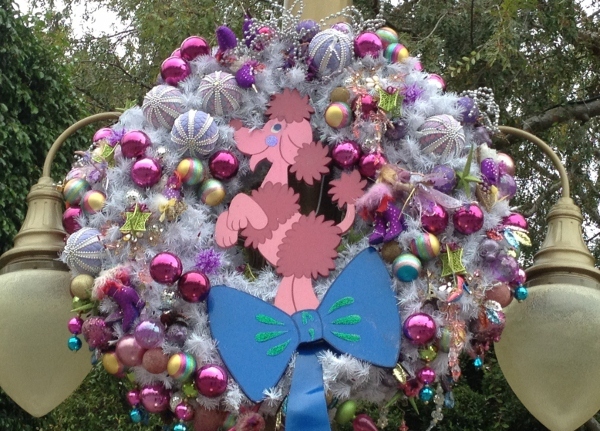 I hope you have found these wreaths to be as inspiring and creative as I did. 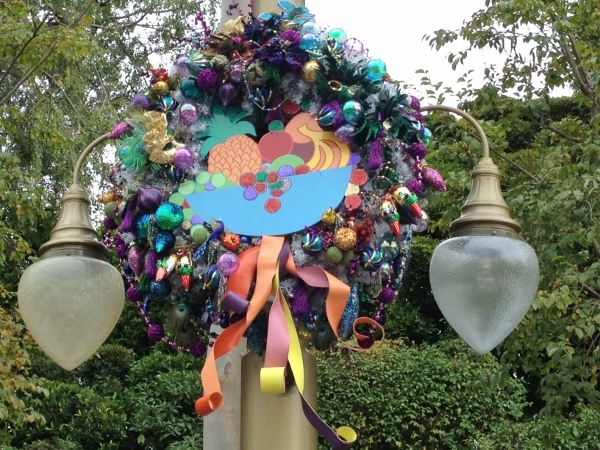 I certainly enjoyed noticing something “new” and different during the holidays at Disneyland! 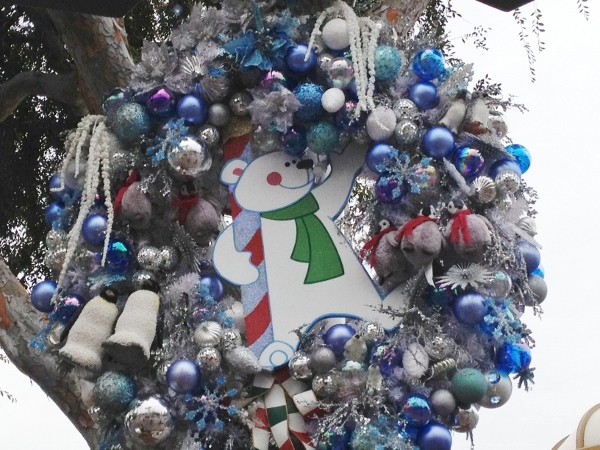 Disneyland Gems: Holidays at Disneyland!